200 year old renovated Villa on most charming and unique Greek island of Hydra. Regular fast ferry service from Athens (Piraeus). Year round resort island offering an abundance of walks, nature, shops, tavernas in a car free and crime free environment. Villa has 3 bedrooms. 1 bedroom has large double bed and mezzanine level with another double bed, TV, fridge and ensuite bathroom with shower, 1 bedroom with 2 single beds and mezzanine platform with double bed and ensuite bathroom with shower, 1 master bedroom with large double bed, flat screen TV with satellite channels, bathroom with free standing bath and shower, study with wifi. Open plan living/dining with satellite TV, video/DVD player and selection of DVDs, free wifi and kitchen fully loaded with all modern appliances. Separate laundry at rear. 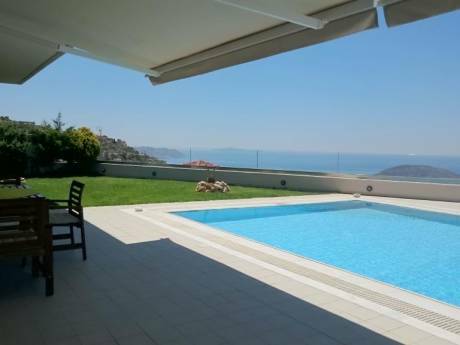 Villa opens onto tiled front terrace with outdoor eating area, sun beds, with access to upper level garden with outdoor seating area and amazing views. 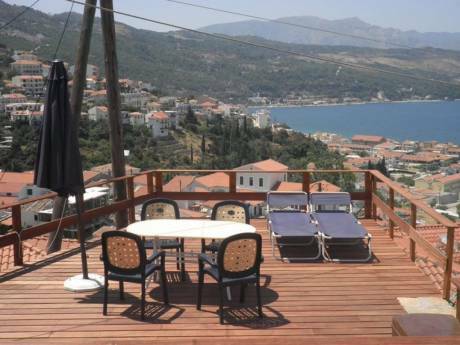 5 minute walk to beaches, center of Hydra town, tavernas, shops, bars. 2 minutes to local mini-market. Included is being meet on arrival at Hydra and baggage transported by Mule up to the Villa. Plus once weekly maid service and gardener. We are a British/Australian couple with grown up children. Our principal residence is in the UK, however we normally spend April to September on Hydra and look to exchange our villa there during October - March. We also own a boutique hotel on the island, which is the adjacent property. If you wanted to do a non-simultaneous exchange during April to September, then we could look at exchanging with rooms on a B&B basis in our hotel. We are used to looking after high end property and are very careful thoughtful people. For the most part there will be just the 2 of us in the exchange, however depending on the location we may have occasional visits from one of our grown up children. We are non-smokers. Hydra is a famous island of great architectural and cultural significance. Made famous in the 1960s when various films where made here and international artists such as Leonard Cohen lived here, the island still attracts many artists and dignitaries. There are only around 20 small hotels/guests houses on the island which adds to it's uniqueness. Apart from a few municipality vehicles, it is car free. Transportation of goods is mostly by mules and people walk everywhere. Sea taxis operate to various places around the island and across the short distance to the mainland Peloponnese. 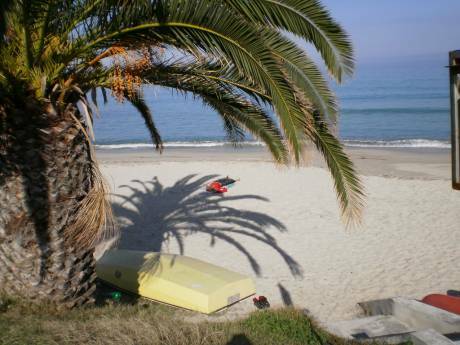 There are 6 organised beaches on the island with umbrellas and sunbeds available for hire for a small fee, plus many swimming coves some easily accessible and some remote. Beaches are mostly pebbles, except for Mandraki to the north of the town and Aghios Nicholas on the southern tip. Hydra is an ideal base to enjoy tranquil and a pollution free environment, whilst being able to tour and visit many historical sites such as Athens, Nafplion, Mycanae, Edpidavros. As well as nearby islands of Spetses and Poros. Car Hire is available on the mainland opposite at Ermioni for around 70 Euros a day and is a good option to tour round the Peloponnese. Hydra is a very dry island with not much rainfall. Months of June,July and August are very hot. March, May, September, October, November and early December are temperate. January and February are the coldest and wettest months.